Today's timely guest post comes from Todd Arrington, a history Ph.D. candidate at the University of Nebraska-Lincoln. His dissertation looks at Civil War-era Republicans. The 150th anniversary of the Civil War began on April 12 with a ceremony at Fort Sumter National Monument in South Carolina. Fort Sumter was, of course, the site of the war’s first military engagement. Today, the National Park Service (NPS) administers Fort Sumter, along with more than 75 other Civil War-related sites. These locations will all be very busy over the next four years as America commemorates the sesquicentennial of its most traumatic event. 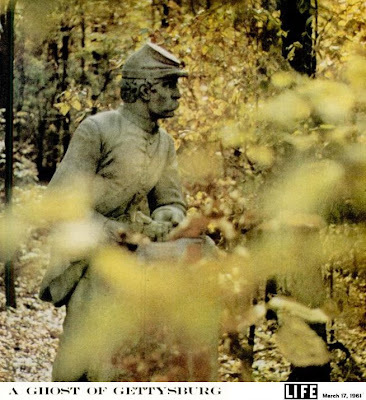 When the nation celebrated the Civil War’s 100th anniversary in 1961-65, visitors to NPS sites like Manassas, Shiloh, Antietam, Gettysburg, Vicksburg, and others learned a great deal about Civil War strategy and tactics. Park Rangers regaled them with tales of forced marches, frontal assaults, and unbelievable acts of valor. However, because “Lost Cause” ideology still dominated popular interpretation of the war, visitors did not learn why Northerners and Southerners had taken up arms in the first place. Difficult conversations about race, slavery, emancipation, and civil rights were taking place in academic circles (and increasingly on the evening news), but the National Park Service did not engage the public on these issues at Civil War battlefields and historic sites. Over the past decade or so, the NPS has drastically changed how it interprets the Civil War. 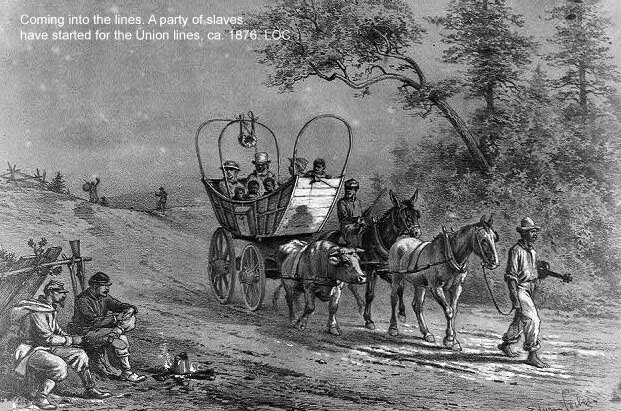 In 1999, Illinois Congressman Jesse Jackson, Jr., initiated a movement to require the Service to “interpret the unique role that slavery played in the cause of the conflict” at all Civil War sites. Not long after, David W. Blight published his brilliant and influential 2001 book Race and Reunion: The Civil War in American Memory (Belknap Press of Harvard University Press). This volume examines how and why the slavery issue was pushed to the background by postwar Northerners and Southerners alike and makes it clear that a narrative of “soldierly valor” that completely ignored slavery’s role in causing the war dominated Civil War history for decades. This at least partially explains why Rangers at NPS sites were so good at interpreting army maneuvers but completely ignored the issues that led to those very maneuvers ever being necessary. Congressman Jackson’s initiative and Professor Blight’s book caused a fundamental re-thinking of how the NPS presents the Civil War era’s history to visitors. Today, the agency seems determined to avoid the mistakes of 1961-65. Those interested in the military history of the war still find much to excite them at NPS Civil War sites. However, Park Ranger interpretive programs also now deal with the issues that led to war. In other words, today slavery is openly examined, discussed, and debated at NPS sites. Understanding why the nation went to war with itself—and what the war’s stakes truly were—can only increase visitor appreciation of these sites and, ultimately, the sacrifices made upon those fields. The NPS has just published a new official commemorative handbook for the 150th anniversary. Titled The Civil War Remembered, the book’s contents page makes it clear that this is not your father’s (or grandfather’s) Civil War history. Noted historians have contributed essays on nearly every aspect of the war itself as well as the pre- and post-war periods. James McPherson provides the Introduction; James Oliver Horton writes on “Confronting Slavery and Revealing the ‘Lost Cause.’” Ira Berlin tackles “Race in the Civil War Era,” while Allen C. Guelzo looks at “Emancipation and the Quest for Freedom.” Essays on the experiences of women, civilians, and the Border States appear. The war’s impact of westward expansion, industry, and economy are explained. Eric Foner contributes on “Reconstruction,” Drew Gilpin Faust on “Death and Dying,” and David W. Blight examines “The Civil War in American Memory.” Those still fascinated by the war’s military history will enjoy “The Military Experience” by Carol Reardon. By publishing such an eclectic set of essays by noted scholars of the Civil War era, the NPS has demonstrated its commitment to a better understanding of the full scope of the era. This has not been done at the expense of interpreting military history; rather, the agency’s willingness to examine not only how the North and South conducted the war but also its causes only adds to a better public understanding of the war and its complicated legacy. Thanks for this. I've always wondered what was behind the ways NPS interpreted sites. This morning, I used part of this post for my American History survey, 1783-1865. Went along well with an April 11 PBS Newshour discussion on the causes of the CR, the pubic perception, and the 1961-1965 centennial: "Civil War's Causes: Historians Largely United on Slavery, But Public Divided." I happened to catch the NewsHour's discussion and came away from it both pleased and frustrated. Pleased that they didn't pursue the usual journalistic strategy of finding voices from "both sides," no matter how ill-informed or wrong-headed one of those sides happens to be. The 3 panelists all conveyed the historical profession's unanimity on causation. What was frustrating was their simultaneous unwillingness to probe popular fixation on the states' rights mantra. Walter Edgar, in particular, just wanted to chalk this up to American's unfamiliarity with facts. But of course, we're in the realm of myth and belief here, so no level of factual demonstration is necessarily going to accomplish a shift in popular attitudes. Did anyone else get that sense? Anyway, I hope that the NPS can be a help in this regard. I think you might be right. They could have, perhaps, spent more time on why the public believes something so at odds with with what historians write and teach. Zounds! The generational breakdown of the poll is really shocking. Apparently the younger you are, the more likely you'll subscribe to the states rights argument. I now commence banging my head on the nearest hard surface.